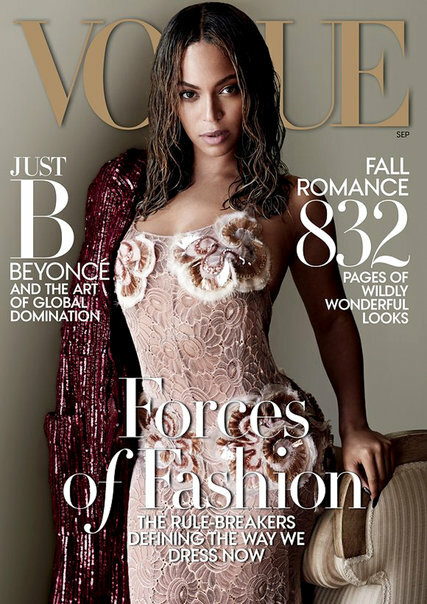 Last week after Beyonce’s VOGUE cover – and remember, it’s the September issue – was released, I wrote about the fact that in the excerpts that were made available, there were no quotes from the B herself, only designers. Not even Anna Wintour could make her talk. Beyonce’s gone Greta Garbo. Click here for a refresher. Yesterday the New York Times posted a piece about Beyonce’s silence. And this silence is what’s starting to set her apart from other artists. Which, as we know, is what Beyonce wants: to have no peer. As we all now know, Beyonce is her own archivist and historian. Beyonce is her own student and master. Beyonce is well aware that we’re talking about why she’s not talking. And she loves it. The more we wonder about it, the longer she’ll keep it up. Which isn’t easy, by the way. Most celebrities can’t help themselves. We see this all the time, especially now, with social media, famous people incapable of impulse control, incapable of not sharing, over-sharing, boasting, over-boasting. They have to have the first word and the last word. But Beyonce has always been good at restraint and withholding. Most of them can’t wait five minutes before they’re posting it on Instagram. Beyonce’s been known to wait years, saving and hoarding in secret until she’s ready to show you – her wedding dress, her holiday videos, exclusive pieces of information let out deliberately, curated as though they’re works of art on loan from museums. Beyonce doesn’t want to be liked. Beyonce wants to be studied. She’s probably the only one right now who knows the difference. Click here to read the NYT piece. PS. Programming note – Jacek and I have been parenting two teenagers (they turn 15 and 13 later this year) the last few days. We don’t see our nephews and niece as often anymore since we live in Toronto now and they’re in Vancouver. So today we’re taking them to Canada’s Wonderland. Maria and Sarah have contributed a few posts and I’ve prepared several in advance as I’ll be cutting out a little early to get to the park. Blog schedule will return to normal tomorrow. Please think of me this afternoon, surrounded by hormones and angst, in line for hours at a time for a rollercoaster.